April 17th marks Malbec World Day (MWD), a global initiative created by Wines of Argentina that seeks to position Argentina Malbec as one of the most prominent varieties in the world and celebrate the success of the national wine industry. Last year, MWD saw more than 120 events taking place in almost 100 cities across 60 countries to pay tribute to the flagship grape of Argentina. With 41,301 hectares (102,057 acres) planted, Malbec (or, more precisely, Malbec Argentino) is the most widely cultivated variety in Argentina, and exports of Malbec-based wines increased by more than 375 percent in just 11 years (2006 to 2017). Today, Canada is the third largest export market (behind the USA and UK) for these wines. 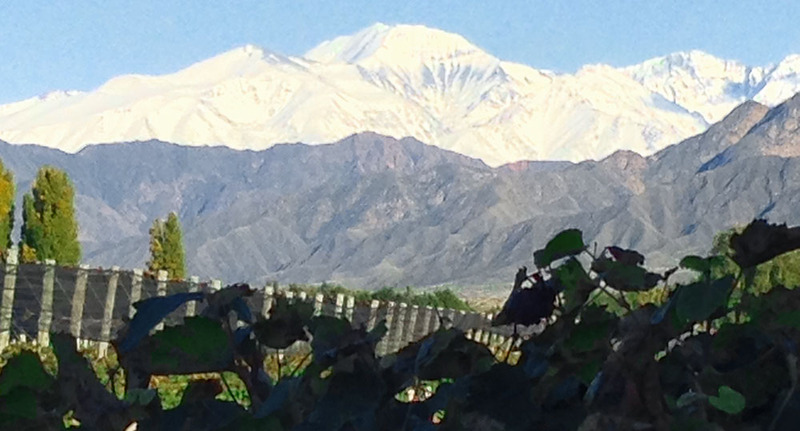 Malbec is currently going through a pivotal moment, with production growing daily and new wines and wineries constantly emerging. The presser for this year’s event notes that “winemakers are no longer looking to make perfect wines, but to express the terroir and the particular characteristics of each area.” This is probably a wise move. I’m not sure about you, but my attempts at creating perfection (in any form) have largely flopped. Crafting expressive wine is probably a much more attainable goal than trying to create a perfect wine. At least there is likely to be something of a consensus when it comes to defining “elegance” (an agreement on what constitutes “perfection” is just asking for arguments to start). When I visited Argentina a few years ago, I got a first-hand look at what progressive winemakers were doing in terms of technological improvements, vineyard site selection, viticultural and vinicultural practises. When asked if I thought these would boost the popularity of the country’s Malbec wines in North America, I replied that anything being done to improve the quality of the wines would no doubt enhance a wine’s popularity (or I said something like that… it was a while ago). However, I also suggested that the best way to convince North Americans to try more Malbecs would be to first convince them that spending over ten bucks on a bottle of the stuff is worth doing. Unfortunately, the Malbec wines from Argentina that initially came into the Canadian market filled the low end of the price scale. While it’s easy to start at the pinnacle and move down if you choose, it’s infinitely more difficult going in the other direction. I’ve tasted some Argentina Malbecs that, although sitting at a higher price point, were nevertheless much better value than some of the competition at twice the price. Here are some notes from samples recently tasted. Aged in a combination of French and American oak for nine months, the Argento Reserva offers aromas of smoked meat, dark chocolate, and blackberry with floral overtones. Ripe dark fruit flavours in the mouth, with some subtle herbal/pepper notes and a long, smooth, mocha tinged finish. A Mendoza Malbec with a fair bit to say. It speaks of graphite, tar, earth, smoke, and ripe dark plum when asked of its aromas, and continues to say things like: blackberry, raspberry, wet stone, and maybe a very mild, vaguely nutty note. The voice sings for a fair length of time. Sporting an expressive, vinous nose, this Calchaquires Malbec also sends out complex notes of violet, mild truffle, smatterings of woodsy/loamy aromas and whispers of black olive tapenade, soy sauce, and mocha. It’s quite the mouthful, with chewy, bramble/blackberry fruit and dash of white pepper as the flavour slowly fades. Wet slate, blueberry jam, tobacco leaf, vanilla, and just soupçon of iodine on the nose. Still fairly youthful, with some evident tannins that have not quite married with blueberry-laced flavours. After about an hour in the glass it began to open up, revealing notes of black licorice and more pronounced smoky/flinty notes. A big, dense wine that will reward those with patience enough to give it some cellar time. A fragrant Malbec showing black cherry compote, dark roast coffee bean, lavender, and just a trace of some earthy/barnyard. Juicy, dense and chewy, with medium tannins and a core of deep, concentrated black fruit. It finishes long and smooth, showing an impressive balance of fruit, tannin, and acidity. If you need to prove to yourself that heading up the price scale can really pay off in terms of structure, complexity, and, ultimately, value, this blockbuster would be as good as any a place to start. Super intense, forward dark chocolate, mulberry, cedar/cigar box, sweet tobacco leaf, and strawberry jam combine in the complex aromatics. Big and lush on the palate, with intense tarry currant and Mediterranean herbs in the mouth, with slight earthy/mineral undertones. Will likely improve over the next decade. A blend of Malbec and lightly dried Corvina grapes vinified using a unique double fermentation process. The result is an engaging wine that offers up a nose suggesting dried herbs, anise, cedar, dried red fruits, and a hint of cinnamon. Poised and elegant in the mouth, it is mid-weight in structure with flavours of chocolate-coated strawberries, leading to a vanilla/herbal/baking spice finish.